This unusually large Faberge style Easter egg, is made from a stunning combination of the most precious materials, befitting an object of true luxury and quality. 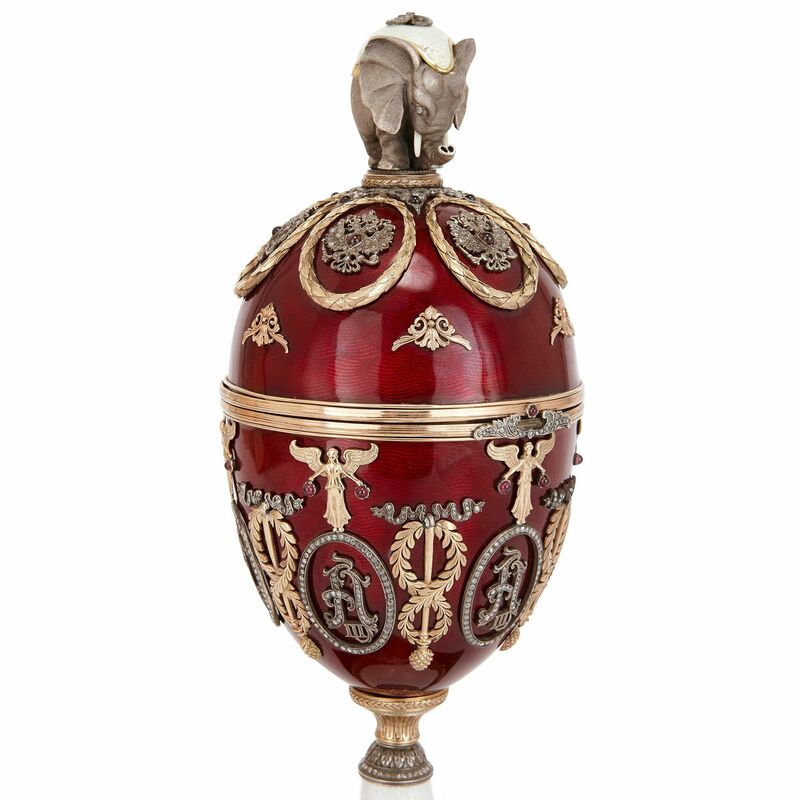 The Faberge Imperial Easter eggs are some of the most famous and precious pieces of jewellery art ever made, and this piece beautifully recreates some of the finest eggs, using only the most luxurious materials: gold, silver, guilloche enamel, nephrite jade, diamond and other precious stones. 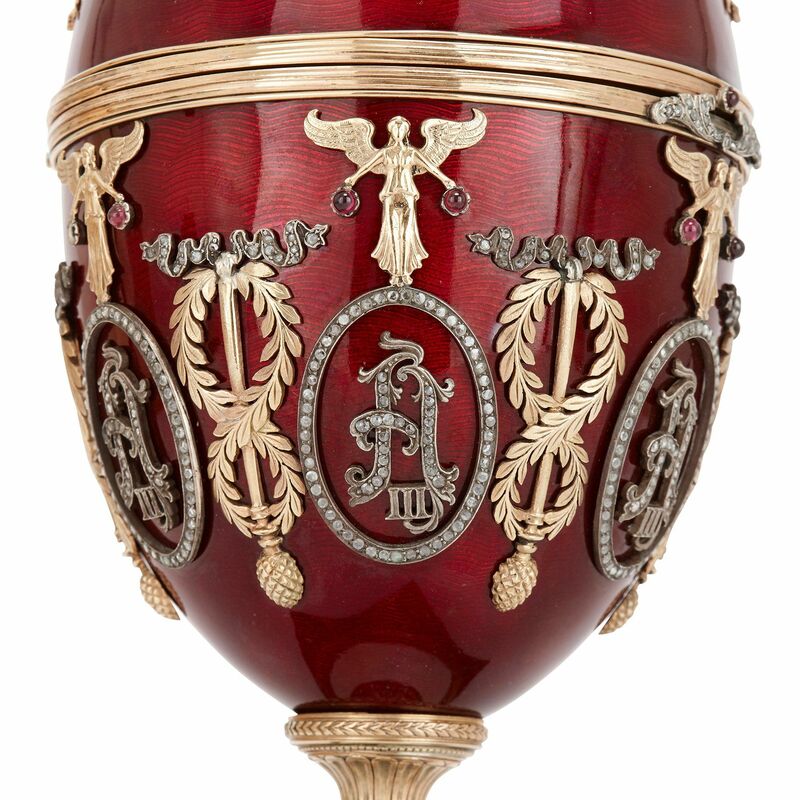 The exterior of the egg is finely decorated with red guillloche enamel which has been mounted around its exterior with gold, silver, and further precious stones, in the form of winged angels, laurel wreaths, ribbons, and the monogram for Tsar Alexander III- the ruler of Russia who commissioned the very first Imperial egg from Faberge. 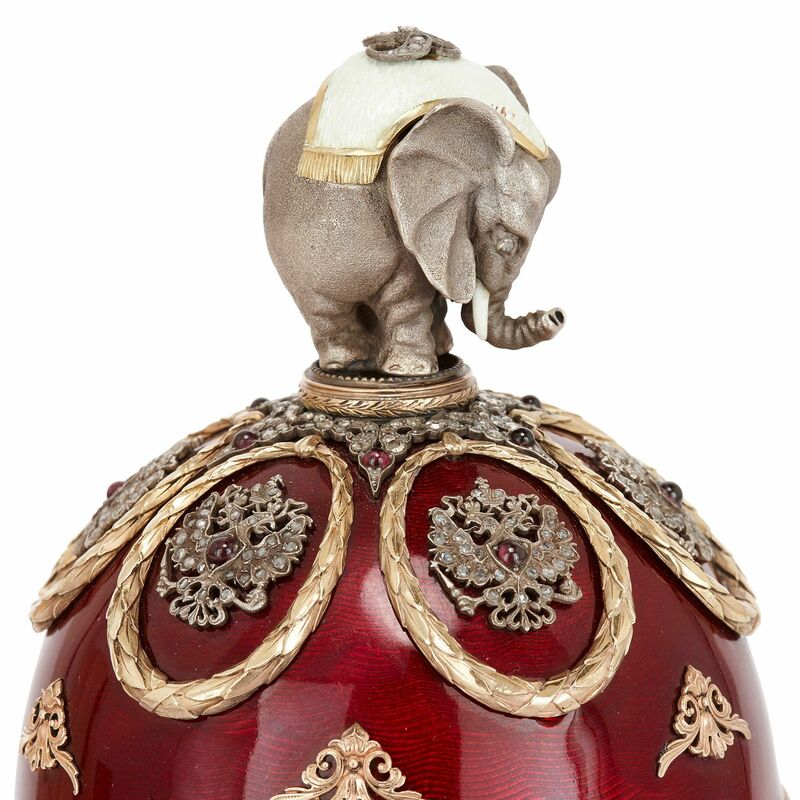 The egg is set on a square nephrite base and is surmounted by a beautiful silver elephant. 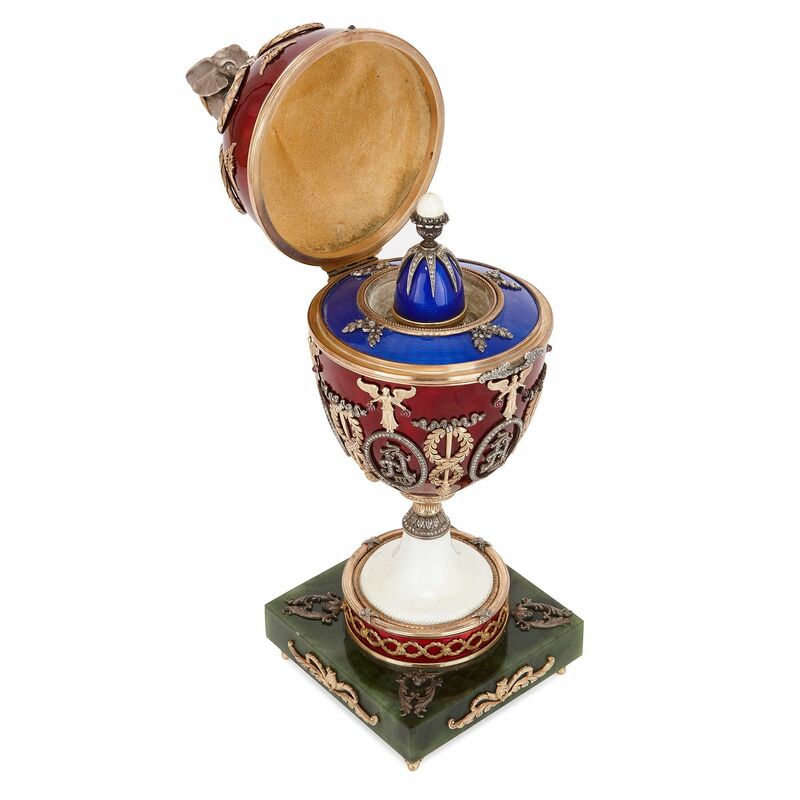 In Faberge's original creations, as well as in this example, the most precious part of the egg would be contained on the inside. 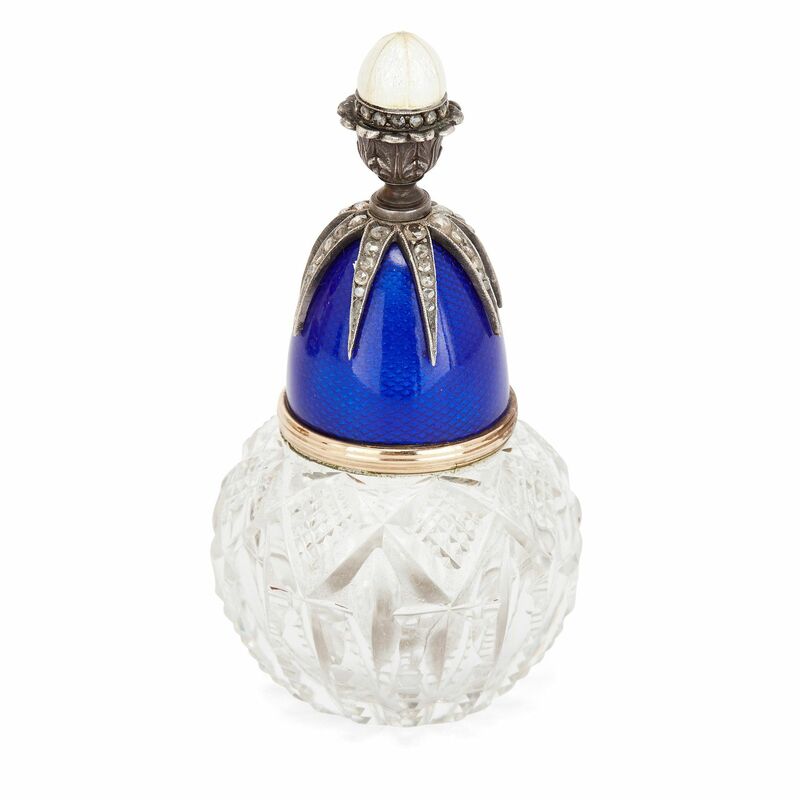 Here, the egg opens to reveal a blue guilloche enamel interior centred with a stunning, delicate diamond mounted enamel and glass bottle. 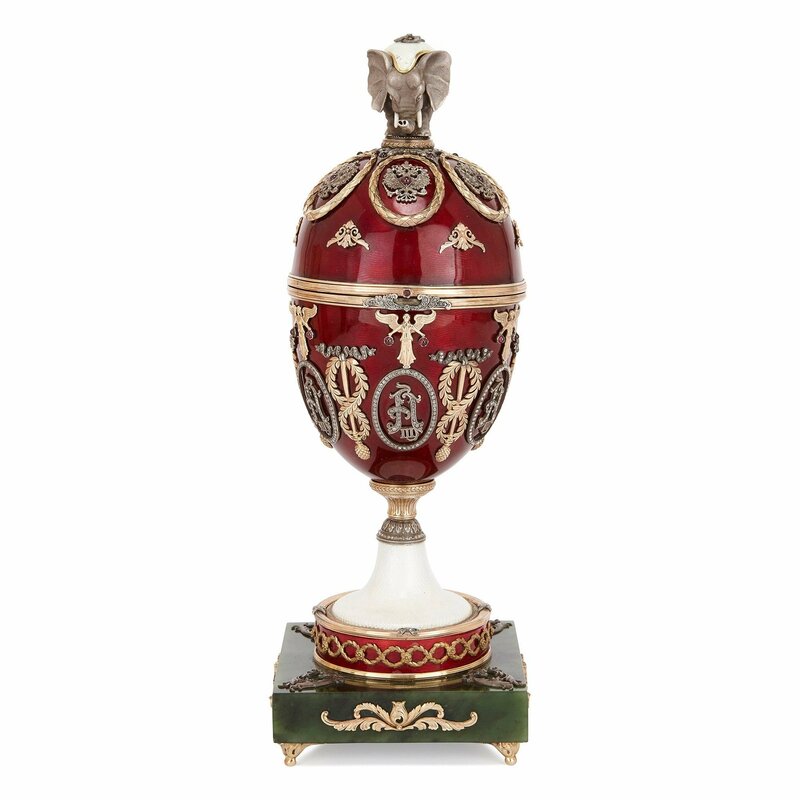 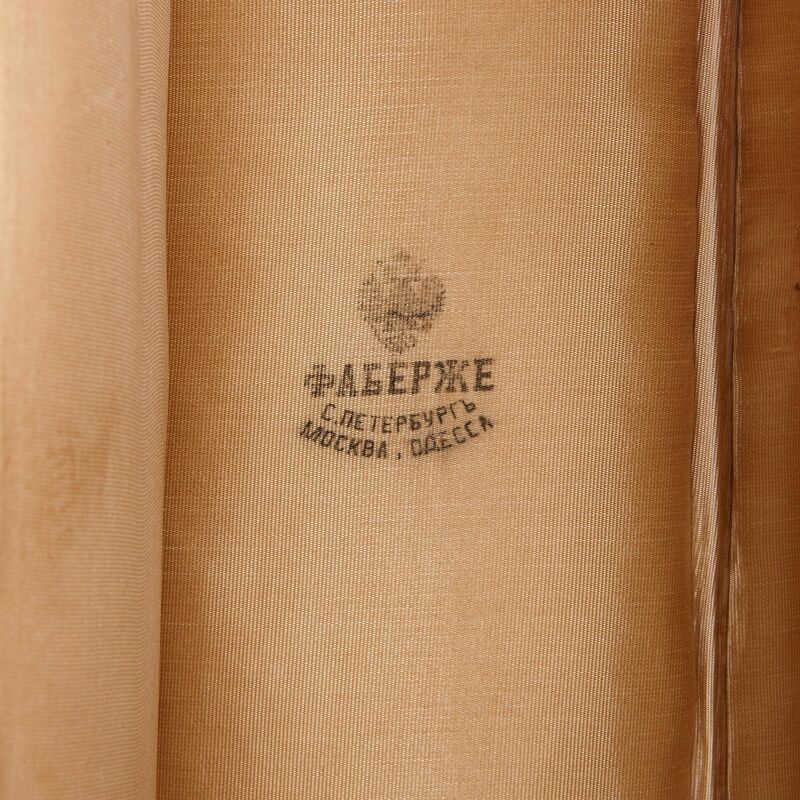 The entire egg comes cased inside a fitted wooden box (measuring: height 31cm, width 19cm, depth 19cm), which bears a printed logo for Faberge. 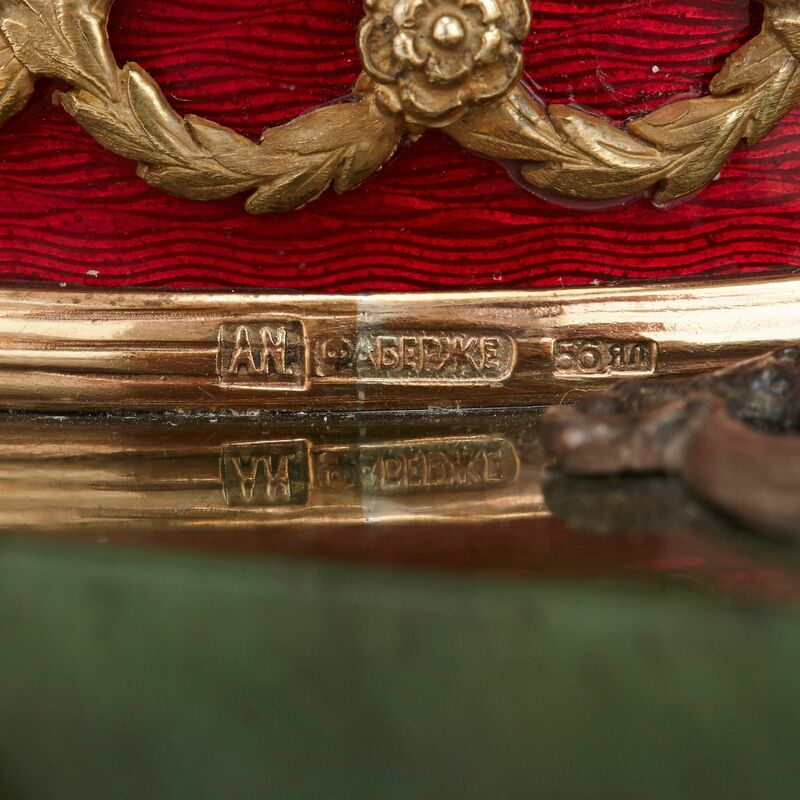 There are gold hallmarks around the rim of the egg.